Getting more hotel room bookings all year round, even during off-season is what Oxfordshire hotel owners like yourself are looking to achieve. Maybe you’ve joined the hotel booking revolution using the services of online travel agencies (OTAs) like booking.com and Trivago to promote your hotel online and increase the flow of bookings. This route has certainly helped hotels keep their businesses churning over and filling rooms during quieter periods. But with 15%-20% of each room booking going to the online travel agency to cover their fees, is there a way of creating a new source of bookings which give you a better profit? The answer is of course yes, but the point is you should be looking to generate more hotel room bookings from more than one source, and certainly not to be dependent on one source. No owner wishes to have their hotel completely booked this year if they are to find themselves quiet the following year, particularly if bookings are only generated from one source, and other channels hadn’t been considered. If you’ve invested in a website, and give your visitors the functionality to make a room booking directly, increasing the number of room bookings through the website will provide a better profit for each room reservation than anywhere else. Should your hotel rely on the online travel agencies for more hotel room bookings? The majority of online travel agencies (OTAs) create interest in hotels like yours and prioritise room price as the primary differentiator between hotels and the main driver for room booking. Customers using these websites are naturally drawn to rock bottom prices because they’re looking for a deal. But many disgruntled hotel owners will accept the room reservation, but become more frustrated having to sell for regularly low prices, and minimising their chances to promote the real differentiating factors of their hotel. Flat commission models are typically used by the OTAs for hotel room bookings, but recently many including Booking.com have introduced a bidding system where hotels pay for positions on the first page of a hotel search within a destination. In Oxford, some hotels will pay over 20% in commission to be on the first page of the recommended hotels. Although the hotel will be benefitting with more hotel room bookings, they start to depend on the OTA for their reservations, and end up becoming a slave to the service, with little bargaining power. While you may be getting a flow of more hotel room bookings and reservations from booking.com and airbnb, try to avoid becoming too reliant on them. There is a wide and varied choice for customers looking for a short break or holiday in Oxford and Oxfordshire. If you’re a hotel owner in this area, you’re familiar with the endless hours required to keep the business afloat and guests happy. With that in mind, we’ve put together a few essential tips for generating more hotel room that come with better margins, because we think there are a few things you should be doing to make your end of year figures look rather more attractive. Most potential customers will be searching Google, or online travel agency sites like booking.com, or accommodation listing sites like oxfordcity.co.uk and will be comparing your hotel with those of your competitors. 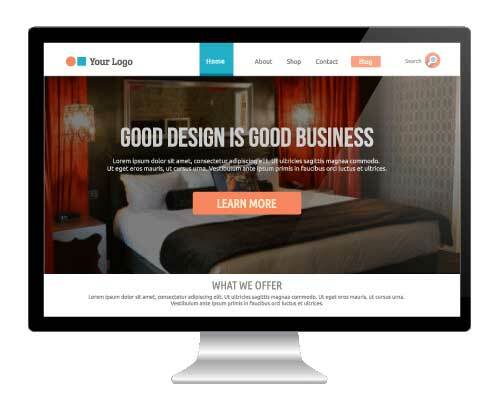 If you’ve invested in an appealing, user-friendly and informative website which reflects the care and attention you apply to your hotel for the benefit of customers, then you’ll start to stand out. But your website needs to be a lead generator and help you convert a web visitor into a paying customer. You can get a steady flow of bookings from an online travel agent, but a hotel room booking achieved from your own website will be more financially beneficial to you than third party bookings, because you don’t have to pay a commission. You also get to build a direct relationship with the customer, manage the relationship, and if they enjoy their stay with you and want to return they’ll book directly with you again and not via a third party. Add online booking software to your website and start getting more hotel bookings with better margins. There are no shortage of options available including Eviivo, Cloudbeds and SiteMinder to name a few, and you can quickly commence accepting bookings within hours. If you’re already using travel agency websites, your booking software will distribute your availability to them in real-time preventing double bookings and disappointed customers. Sell the experience with a great description of your hotel. Use engaging copy to provide relevant detail which will encourage customers to see themselves in the hotel. Provide insight to local attractions and amenities which are all particularly useful for customers who may not know the area. Detail is always desirable because it helps reduce customer questions or concerns prior to arrival. Good photography helps you promote your hotel as a great short break or holiday experience. Potential guests will be drawn to your photos when scanning your website so use good quality internal and external shots of the property, its surrounding views and local area. Start encouraging customer reviews. A customer review remains the first thing that potential guests look at when choosing a holiday home. If you have a guest book at your hotel, use it to your advantage and cherry pick some of the best and publish them on the website. So far, you’re featuring your hotel on an OTA, and you’ve invested in your own website with hotel room booking functionality. Now you really need to generate more bookings on your own website because they are commission free. You should now be thinking of ways to direct more enquiries towards your own website. Advertise your hotel on OxfordCity.co.uk, the leading accommodation and attractions listing site for the area. With over 150,000 website visitors each year, the site can direct a regular flow of customer enquiries to your website where you can make better profit from more hotel room bookings. An Enhanced Entry on oxfordcity.co.uk gives you priority listing within the Hotel section and provides you with a full detail page to help you sell a great holiday experience at your hotel, and include those all important links to your own website and booking software. You may be missing out on prominent visibility to attract new customers to your hotel if you’re not yet listed on Google My Business. Google My Business (formerly Google Places) makes search results more location relevant giving local businesses an excellent opportunity of ranking on page 1 of Google for location-based searches e.g. ‘hotels in Oxford’. If you’re running a hotel, sign up with a Google Account and join Google My Business. When a website visitor carries out a local search i.e. they include a location within the search, those businesses registered with ‘Google My Business’ will usually be displayed near the top of the page. Google users will see your contact details, Google reviews, a sample of images, and a link through to your website. Just like a listing on oxfordcity.co.uk a listing on Google My Business is another layer of visibility for hotels with direct links through to your website to get more hotel room bookings on your own booking software. 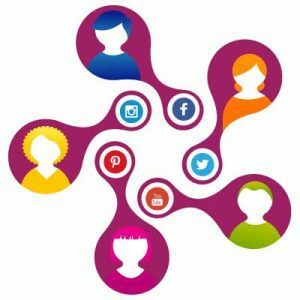 The key to social media for your hotel is to provide the right content to the right group of people on the right social platform to generate engagement. With social media you’re not just talking to people who follow/like you, you’re actually trying to engage with them so that they respond and share content about your hotel to their friends, family and connections. Social media for hotels requires a lot of hard work to maintain regular updates of relevant content to invite engagement. Your efforts can be highly rewarding because social media is a great way to connect with your audience, build relationships and direct potential customers towards your hotel website. Understanding who your target audience are, including what social media platforms they use, and what they like to read and talk about, means you’re half way there to getting started. But what is the right content to use on social media for your hotel? Engagement won’t happen if you simply talk about or promote your hotel, you have to post updates which will encourage a response across many subjects. Typically this could be 3-4 posts that are valuable, beneficial, relevant and interesting to your potential customers before you post one where you advertise the benefits or your hotel. You need to aim to become a good source of useful and interesting content which your growing number of followers can engage with. Engagement isn’t just about getting a response from your post updates, its also about listening and responding. Once you start building a following, if someone asks a question or comments on a post, you will want to respond as soon as possible. The more engagement you get, the better your chances converting followers into potential customers. And once you’ve directed them to your own website, you then have the opportunity of converting more hotel room bookings with better margins. An effective way to promote your business online and steer potential customers onto your own website and towards your own booking software, is advertising your hotel with Google Adwords. The most important part of any pay-per-click activity is to properly plan, and identify the most relevant keywords for your hotel which someone would search for on Google. Once you have created ads (Adwords) around those keywords, identified your bid price and budgets, and then made them live, your hotel will instantly appear on relevant search results pages as a sponsored ad. These are the ads which typically appear at the top and bottom of search results pages, and the more you bid for a click to your hotel website, the higher up the page your ad will appear.